The German press points to the Bavarian club as the main interested in the services of the Moroccan. Ajax, desperate to keep his trident. The great Ajax campaign in Amsterdam is not going unnoticed by the great clubs of the Old Continent. At the moment only De Jong has sealed his fate, but the latest rumor has as protagonists Hakim Ziyech and Bayern of Munich. According to the newspaper Süddeutsche Zeitung, the Bavarian club is "strongly interested" in the Dutch-Moroccan playmaker, one of the pillars of the surprising Ajax of Erik Ten Hag. The 22 of the ajacied signs some spectacular numbers this season: 19 goals and 19 assists in 41 official matches. Next to Tadic and Neres, the trio adds 45 of the 106 goals scored by those of Amsterdam in the Eredivisie. A number that has not gone unnoticed by Bayern, which seeks to strike a rudder on its course after a disappointing campaign. However, Bayern is not the only suitor of Ziyech. La Rome already tried the recruitment of international Moroccan last summer and, in declarations to calciomercato.it, the mediapunta declared that Roma "is not a closed chapter" . 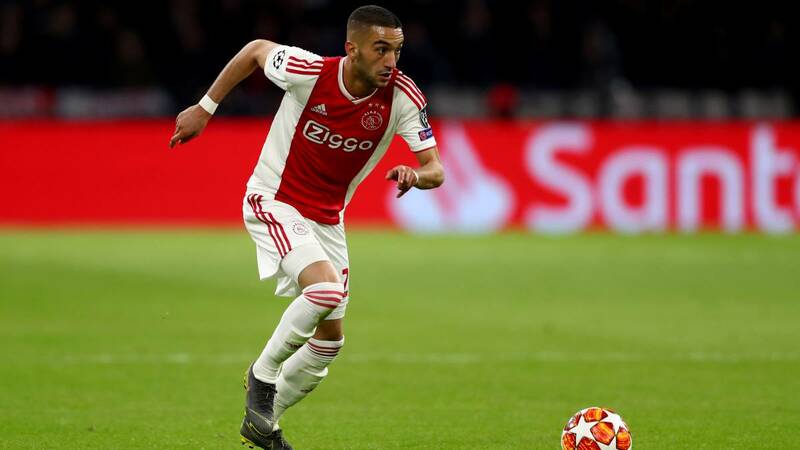 Ziyech confirmed that maintains contact with his ex-partner Justin Kluivert, player of the giallorossi, and that "they usually talk about Italian football" .